Production companies Eskimo and Washington Square Films will bring groundbreaking (and socially-relevant) work to the 2019 Sundance Film Festival, running from Thursday, January 24 through Sunday, February 3 in Park City, UT. While it rains and snows across the country, Eskimo director Caleb Slain will heat things up with the documentary Marshall From Detroit, a 360-degree film starring the titular Marshall Mathers, AKA famed rapper Eminem. A staple of film festivals nationwide, Caleb Slain’s award-winning work has premiered at SXSW, Telluride and Austin Film Festival, where his most recent film Demon was awarded “Best Narrative Short” last year. Washington Square Films also delivers another Sundance Film Festival screening, a co-production alongside Anonymous Content of the dramatic feature The Sound of Silence, directed by Michael Tyburski and Ben Nabors (based on Nabors’ short film Palimpsest). 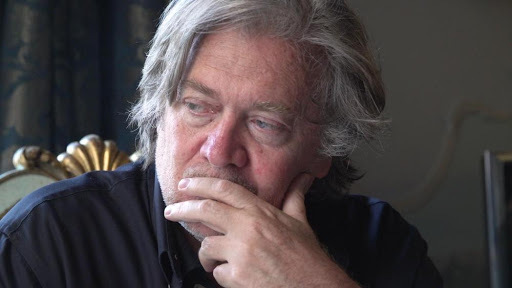 The nail-biting Steve Bannon documentary The Brink will also premiere, helmed by Washington Square Films’ roster director Alison Klayman (Take Your Pills, Ai Weiwei: Never Sorry). Joining a legacy of Washington Square Films Sundance premieres including Crown Heights (2017), Christine (2016), GOAT (2016) and more, The Sound of Silence will screen as part of the U.S. Dramatic Competition and was recently acquired by Film Constellation for international distribution. The Brink will screen as a Documentary Premiere; the project was purchased by Magnolia Pictures prior to the festival. 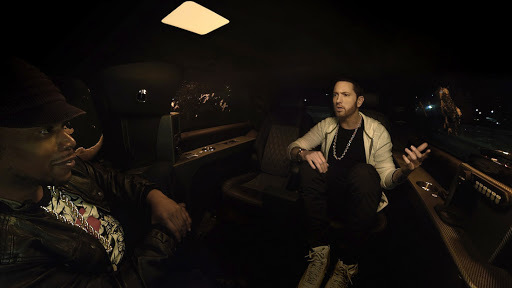 Via Sundance: On a winter’s night, musician Eminem and journalist Sway Calloway cruise around Detroit, Michigan, discussing Eminem’s creative process, the idea of a hometown, and music. In Marshall from Detroit, viewers ride along in the backseat, gleaning a new understanding of these famed cultural figures. This captivating 360-degree VR work is a lyrical and atmospheric study of place and how it can shape you. 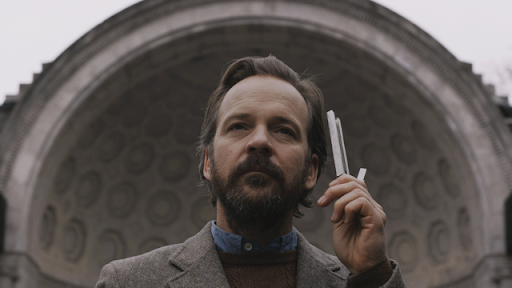 Via Sundance: A self-taught scientist, Peter (Peter Sarsgaard) works in New York as a “house tuner”—a unique, highly specialized profession he’s invented. His clients approach him with troubles like depression, anxiety, or fatigue. After extensive analysis of their homes’ acoustic characteristics, he identifies some sonic combination—a radiator mixed with a kitchen appliance, for instance—that’s altering their mood. Despite some skepticism, his clients see results … until he meets Ellen (Rashida Jones), who is experiencing exhaustion. After his initial conclusion proves incorrect, Peter obsessively searches for the fault in his practice. Adapting their short film Palimpsest (Special Jury Prize, 2013 Sundance Film Festival), writer/director Michael Tyburski and writer/producer Ben Nabors have created an elegant, lyrical film marked by a subtle unfolding of story and a gentle approach to character, disquietude, and human connection. Peter is a mesmerizing figure. Mannered, meticulous, methodical, he’s shaken when the years he’s spent mapping New York’s natural harmonies come into question. The Sound of Silence is a serene contemplation of people living in their modern environment—and their desire to understand and even control it.